Quick, think of your favorite on-the-stumpÂ tv spot. Conceptual presidential campaign commercials rarely surface as candidates vie for the chief executive office. So, we had our top social scientists sift through the last 60 years of commercials to bring you Tidal Waveâ€™s top three picks. It shouldnâ€™t come as a surprise that the mostÂ powerful presidential ads were produced by the advertising worldâ€™s elite. DDB. Riney. Yes, even Disney and Irving Berlin. 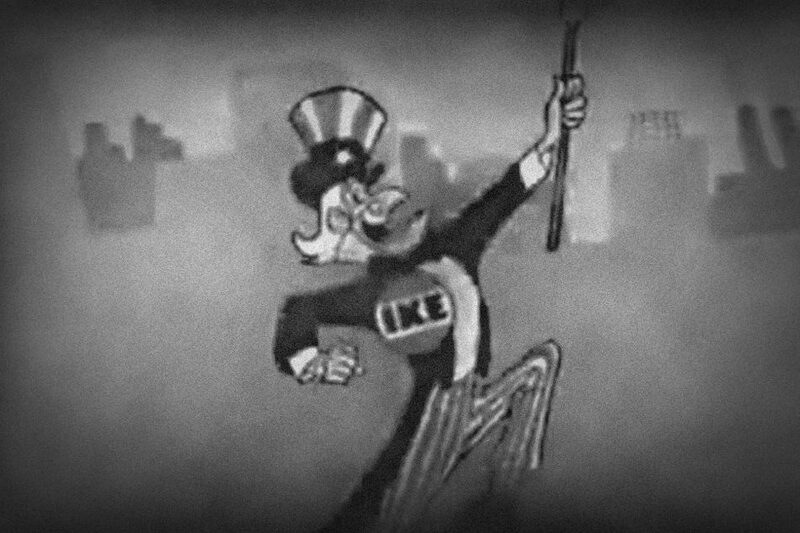 Affix your â€œI like Ikeâ€ buttons, pop the corn, and enjoy. Hal Riney (the creative mind behind this ad) is notorious for weaving an emotionally powerful story into every ad. Riney penned this particular taleÂ on a napkin sitting in a bar below his office. Bartender: What are you working on? Hal: The campaign for the re-election of the president. Bartender: Sure you are Hal, have another. Doyle Dane Bernbach, the same team that launched the VW beetle into stardom, merged these powerful symbols to bring us an unforgettable ad. This jingle was brought to you by Irving Berlin and Roy Disney. Sure, it may be a strange tactic for a military general headed to the White House. But, it was the 50â€™s. Eisenhower had powered through WWII, lead NATO forces in Europe, and was staring directly into the cold war. Perhaps a lighthearted jingle was exactly what the American public needed.